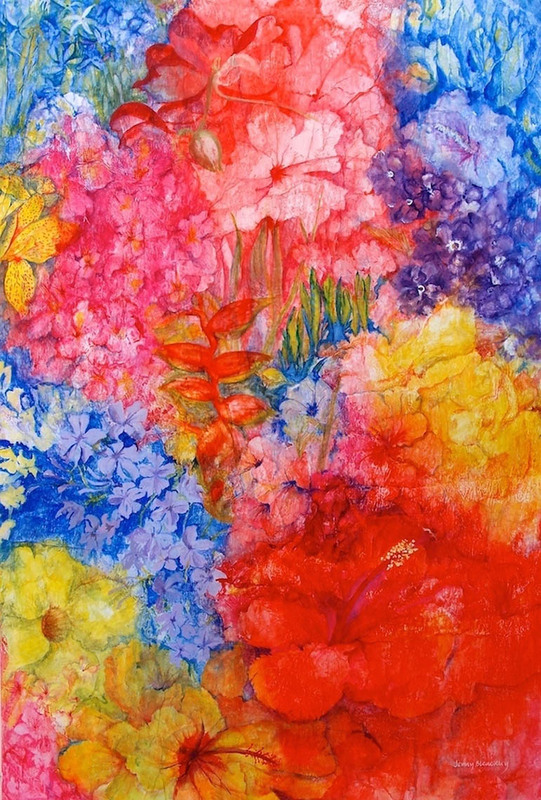 This is the first of a series of Florida Flowers, watercolour on canvas using tissue paper to help the colour adhere. When visiting Florida we stay in a very lush neighbourhood of St. Petersburg and walking down the cobbled streets lined with oak trees and an abundance of beautiful flowers, I think of it as the Garden of Eden. This was the inspiration for my series. 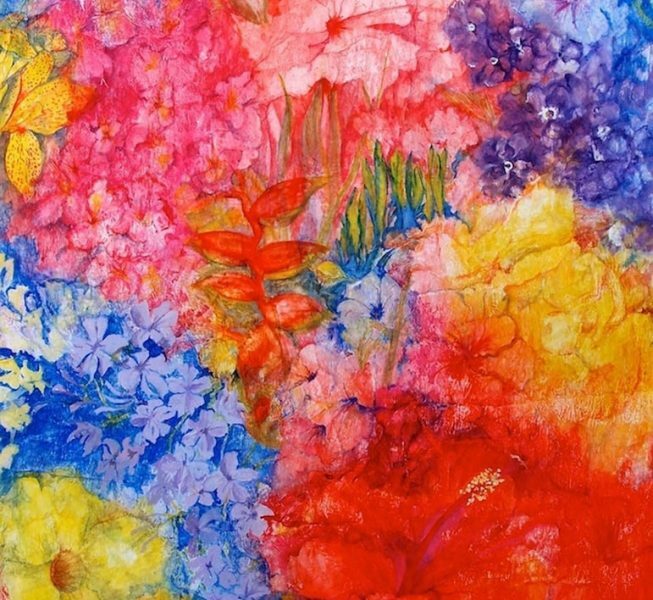 I hope it evokes the feelings of passion and love along with the beauty of such bright colours.